Please join us for the 38th Annual Martin Luther King, Jr. Holiday Observance Celebration to honor the life and legacy of the Reverend Dr. Martin Luther King, Jr. This event, which is one of the largest and most diverse programs held throughout the year, will include remarks by Governor Janet Mills along with local speakers of every age and a keynote address by Naomi Walker, director of the Economic Analysis and Research Network (EARN) at the Economic Policy Institute in Washington, DC. Complimentary child care, including dinner, will be provided for children ages 4 to 10 through AmeriCorps Alums. Registration is required. For more information or to RSVP for child care, please contact Jenifer Craven at Jenifer.Craven@americorpsalums.org. Please note that this event is a fundraiser to support racial justice efforts and the development of youth voices and leadership in our community. As is tradition, a limited amount of complimentary tickets are available to those who express interest on a first-come first-serve basis. Please click the link above for more information or to request a ticket. For those who can purchase a ticket, please note that donations are being accepted to help make our program accessible to all who want to attend. The 38th Annual Martin Luther King, Jr. Holiday Observance Celebration will bring hundreds of people together from across the state on Monday, January 21st, at the Holiday Inn By the Bay to honor the life and legacy of the Reverend Dr. Martin Luther King, Jr. This event, which is one of the largest and most diverse programs held throughout the year, will include remarks by Governor Janet T. Mills along with local speakers of every age and a keynote address by Naomi Walker, director of the Economic Analysis and Research Network (EARN) at the Economic Policy Institute in Washington, DC. The program will also highlight the importance of volunteerism and recognize those who have devoted their lives to the advancement of civil rights in Maine through community service. In the spirit of Rev. Dr. King’s beloved community, there will be an opportunity for you to actively contribute to the local community as well. Books will be on sale throughout the celebration with a portion of the proceeds donated to the Boys and Girls Club of Portland. Additionally, we are collaborating with Maine Senior Corps for the Warm Hearts, Warm Socks program to ensure men, women and children who are experiencing homelessness have warm socks. Attendees should bring a pair of socks with them of any size to add to our Senior Corps collection. Please note that tickets will not be sold or held at the door. Attendees are required to print their tickets. Doors will open with a cocktail reception/cash bar at 5:00 p.m. followed by the dinner program. We hope that you will consider joining us for this special observance. Rev. Dr. King used the phrase “the fierce urgency of now“ on two occasions. The first was the “I Have A Dream” speech delivered on August 28, 1963, at the Lincoln Memorial. The second was his “Beyond Vietnam” sermon in April 1967, given at Riverside Church in New York City. It is understood that in both, he is urging society to combine thoughtful analysis with deliberate, meaningful action against systems that oppress our humanity and the self-determination of people everywhere. Martin Luther King Jr. was born in Atlanta, GA, on January 15, 1929. He earned a doctorate degree in theology and, like his father, became a Baptist minister. Married to Coretta Scott King, they led the fight for the equal and humane rights of all. At the age of 39, Rev. Dr. King was tragically assassinated. Three years after his death, in 1971, several cities and states began to mark his birthday and then in 1986, it became a national holiday. The day before his untimely death, Rev. Dr. King delivered an iconic sermon, “I’ve Been to the Mountaintop,” which was given in support of the striking sanitation workers in Memphis. He was there making plans for the Poor People’s Campaign and a march on Washington that would confront the disparity of wealth in the United States. The march did take place and the Poor People’s Campaign has been credited with helping to make policy changes and igniting a national discussion on poverty that has brought disenfranchised populations together in the fight for housing; livable wages; jobs; access to health care; and a fair justice system. This year, our holiday observance is designed to challenge us to to move Rev. 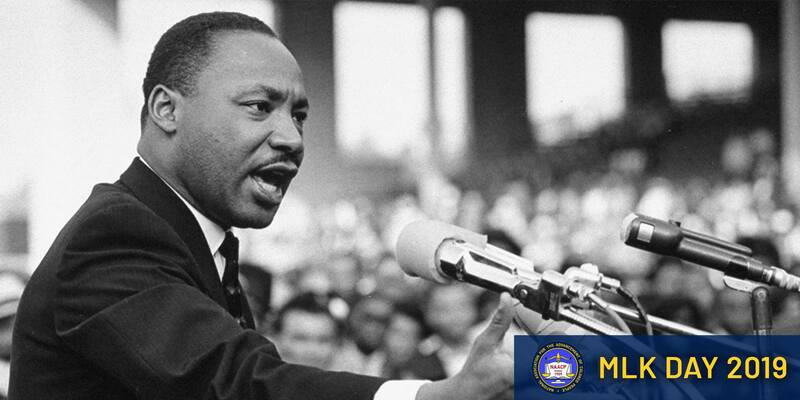 Dr. King’s call to action forward – vigorously and purposefully. 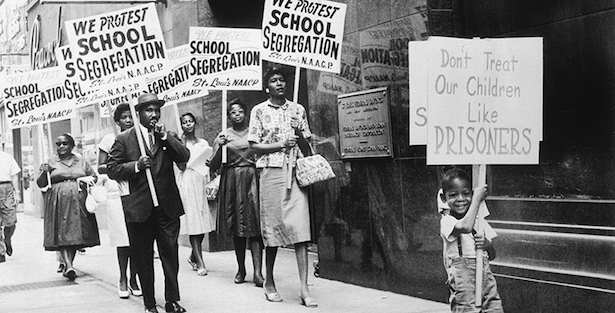 Unless otherwise noted, photographs on www.naacp.me are by Nicholas Upton and sierraromeo, and are used under a Creative Commons License. Site by Yellahoose | Hosting by Packawhallop.